Croatia’s Paklenica Riviera, a 20km stretch of coastline where the mountains meet the sea, provides a beautiful setting for our next Nordic Walking break in partnership with Sam Armstrong from Core Concept and Danijela Bucić of Mountain Traveller Croatia. The Paklenica Riviera is part of the Velebit Nature Park, which because of its specific relief, vegetative, and landscape features was placed by UNESCO in the World Network of Biosphere Reserves. We’ll stay in Starigrad-Paklenica, a relaxing small port on the coast of the Velebit channel built on the foundations of the ancient settlement of Argiyruntuma. Our accommodation in Starigrad Paklenica is the well-appointed 3-star Hotel Alan, which was completely renovated in 2004 with a cutting-edge wellness centre being added a year later. 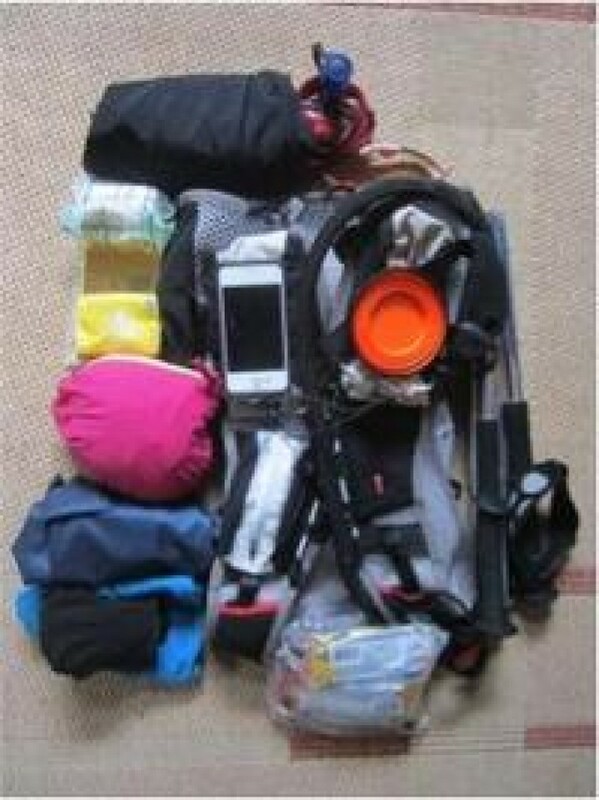 We love the Queyras, both for snowshoeing in winter and for trail running in the summer months. The remote and uncrowded Queyras National Park is situated in the Hautes Alpes region of the French Alps, east of the Ecrins, between Briançon and Gap. The area is one of the most picturesque in all of France and so far seems to have remained quite undiscovered - allowing us to truly savour an unspoilt winter wilderness. Venturing into the park on snowshoes we explore its unique, dramatic landscape: breathtaking views of sparkling snowfields, dense centuries old larch and Cembran pine forests and the impressive, jagged rock faces of the rugged mountain peaks with their unique geological features. It can seem a little daunting choosing the right destination for your cross country skiing or snowshoe trip this winter. So much choice! Lindsay's ‘Rough Guide’ to cross country skis! Which ski for which course? 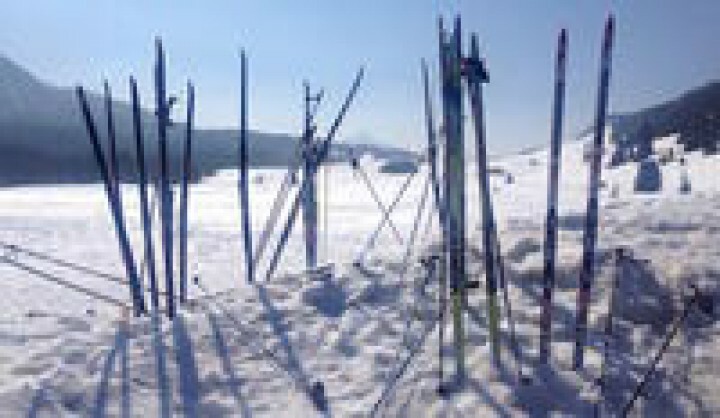 A ‘Rough Guide’ to cross country skis! As ski technology continues to advance manufacturers have developed a massive range of skis all designed for a certain type/style of skiing and terrain. Choosing the right ski for the holiday you have booked can be a little challenging, but we can help point you in the right direction toward making the correct choice of equipment. The information below is just an indication of what is available; as you will discover, there are many variations and makes and models. Why Learn Cross Country Skiing this Winter? Cross country skiing (a.k.a. Nordic skiing, or ski de fond) is currently enjoying a serious renaissance. Like the boom in road cycling and ultra trail running that’s taken the UK and US by storm in recent years, it’s no longer just nerdy endurance geeks and burly army boys who are hooked on this now-fashionable-again winter sports pursuit. Unlike their Scandinavian forefathers, today’s Nordic newschoolers are decked out in on-trend, technical gear (from brands such as Oakley, Maloja and Salomon), while events such as the Vasaloppet in Sweden have attracted celebrity participants including Kate Middleton’s sister, Pippa. The Swiss Engadin Marathon – one of the biggest XC Ski events (even looks cool in writing!) has between 11,000 and 13,000 participants every year. Snowshoeing using the latest lightweight equipment has opened up a whole new world to those who previously thought mountain walking was only a summer activity. 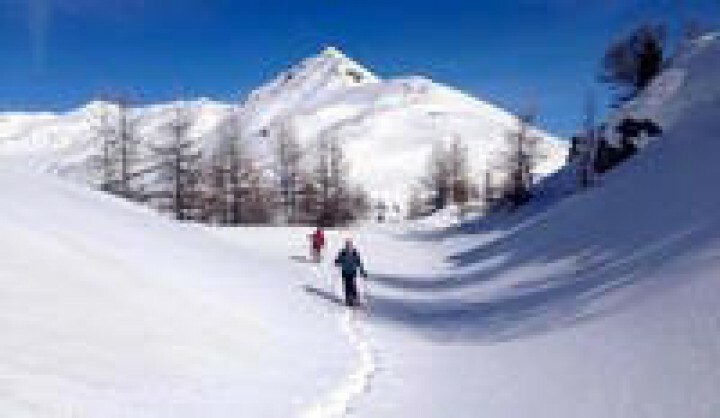 Snowshoeing is neither technical or complicated and allows access to a wonderful snow covered playground. You don't need any prior experience to snowshoe in the Alps, just some warm clothes and a sense of adventure! With a little guidance you can soon pick up the skills: we regularly see whole families wandering through magical snow covered forests or across high meadows enjoying the views normally only afforded to mountaineers or skiers. There is also the myth that it's all hard work. Indeed, if you happen to have to break the trail it’s a bit of a workout, but if there is a trail already there, and there often is, then it's really no harder than normal hill walking. A Fantastic Family Mont Blanc Tour! Our Family Walking Tour around Mont Blanc with Tracks and Trails was a really fantastic experience. 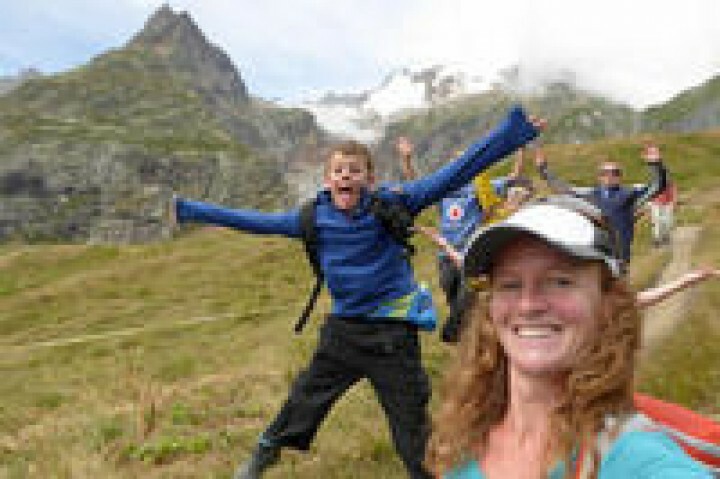 We started the week feeling rather nervous about what lay ahead of us, but once we had done our acclimatisation walk to Lac Blanc and got to know a little bit about our really helpful, fun and nice guide, Julia, I felt much better and more confident about the whole thing. The first day was great, and we saw our first alpine animal- a chamois (a sort of mountain goat), which was really exciting! For the first time this autumn we are offering a week of Nordic walking and yoga in a gorgeous chalet in the Aravis area of the French Alps. Our base is Chalet le 4, with its great food, endless swimming pool, decking for yoga, gym and massage room, and, of course, the mountain location which is truly breathtaking. We love it there! 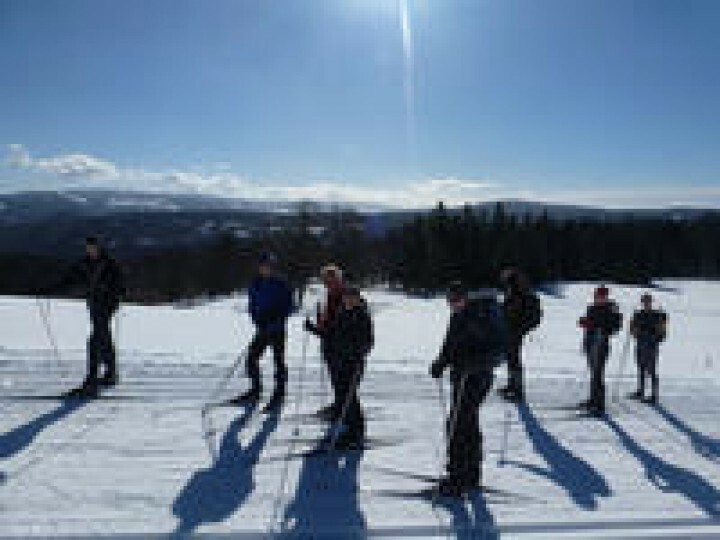 Nordic skiing and snowshoeing in the Alps and Norway can be amazing value! Making a trip across the Atlantic for a winter break cross country skiing or snowshoeing doesn’t have to be expensive. It’s a misconception that venturing to Europe need be a once in a lifetime endeavour! In fact now’s a better time than ever to make the most of a great Dollar/Euro exchange rate that works in your favour - the US Dollar hasn’t been this strong against the European single currency for 10 years! Norway too is more affordable than ever for our guests from the United States ($1 bought you less than 6 Norwegian Krone last year in 2014 - now it’s up more than 35% in the past 12 months to just over 8.5 Norwegian Krone! ).